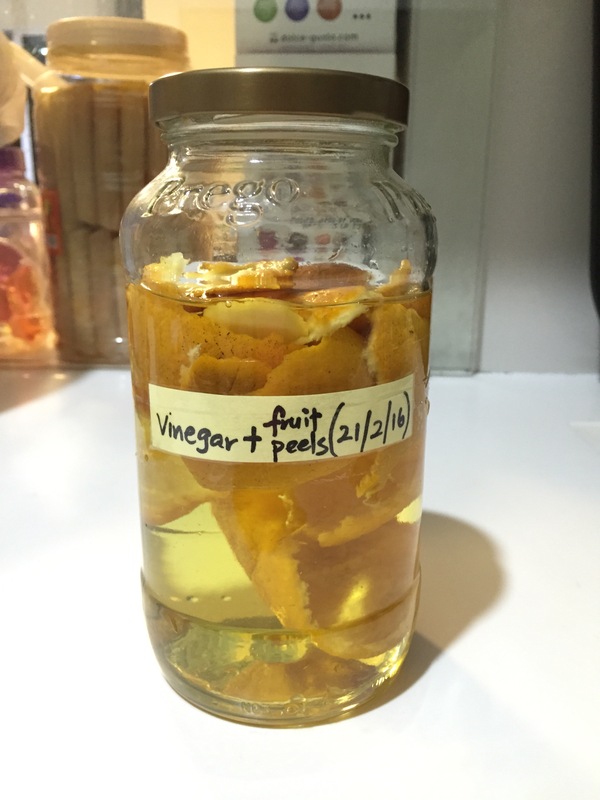 Cleaning liquid: vinegar plus fruit peels. 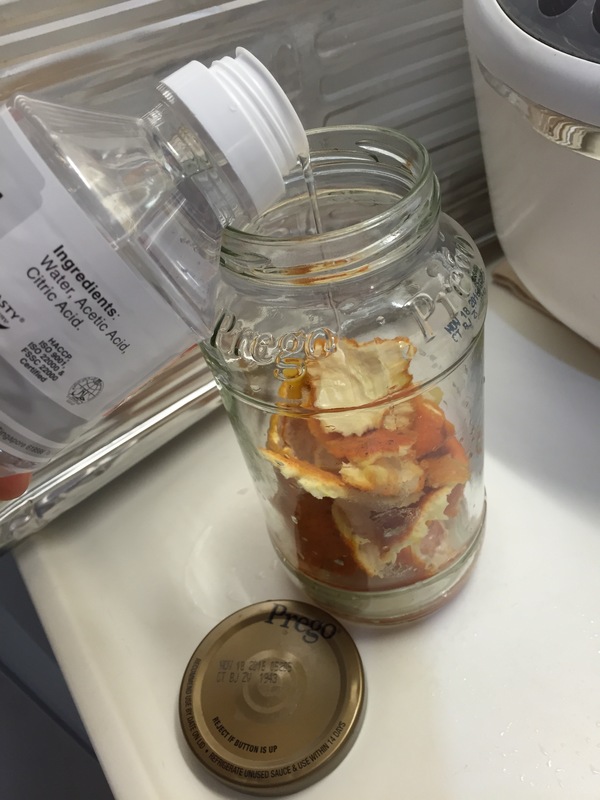 Use a glass jar (prevent corrosion from vinegar). 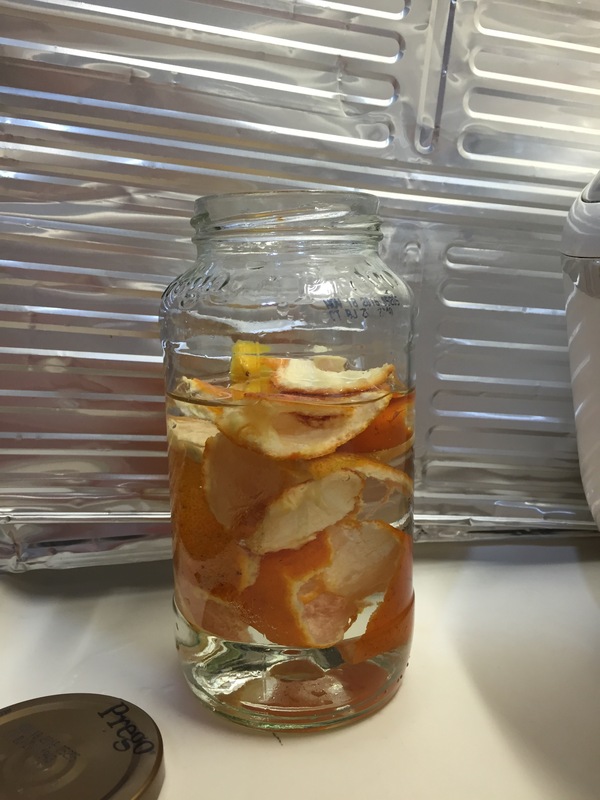 Add the fruit peels into the jar followed by the vinegar. 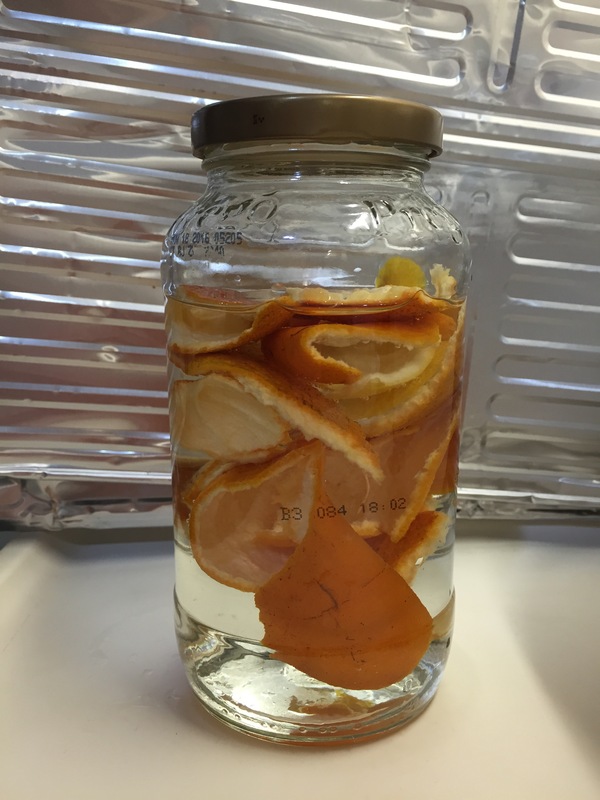 Do not fill to the brim to allow space for the air to be collected during reaction. Otherwise, Mrs Eio think the jar cover will “pop”! Cover the jar & let it sit for couple of days. (Don’t think need weeks before we can use). See photo for result on second day. There’s nice smell of the Orange peels. No more vinegar smell. Wonderful. Label the jar to know when the liquid was made. 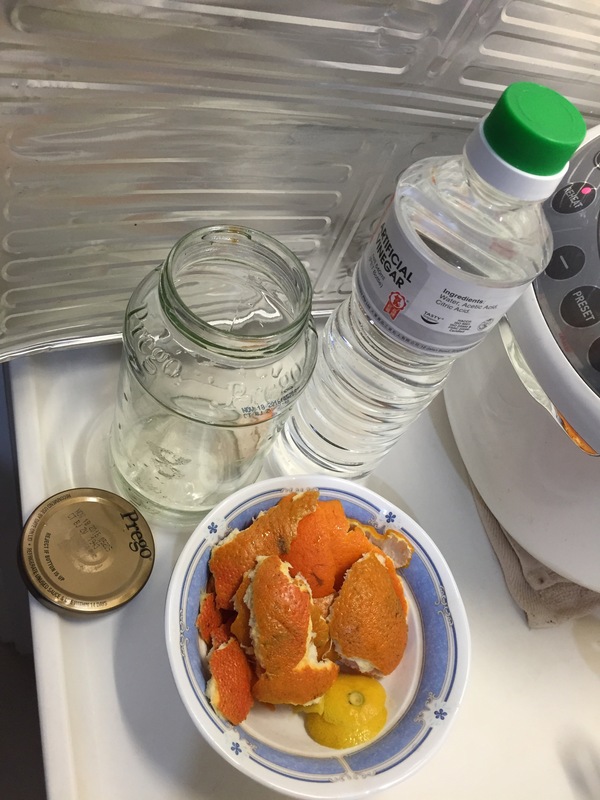 Previous postPost cny: cooling drinks to bring down the heat!